We came to the realisation that we have not done many things for the past 6 days we were in Korea. Hence we decided to try to pack as many things into our last second day in Seoul as possible. 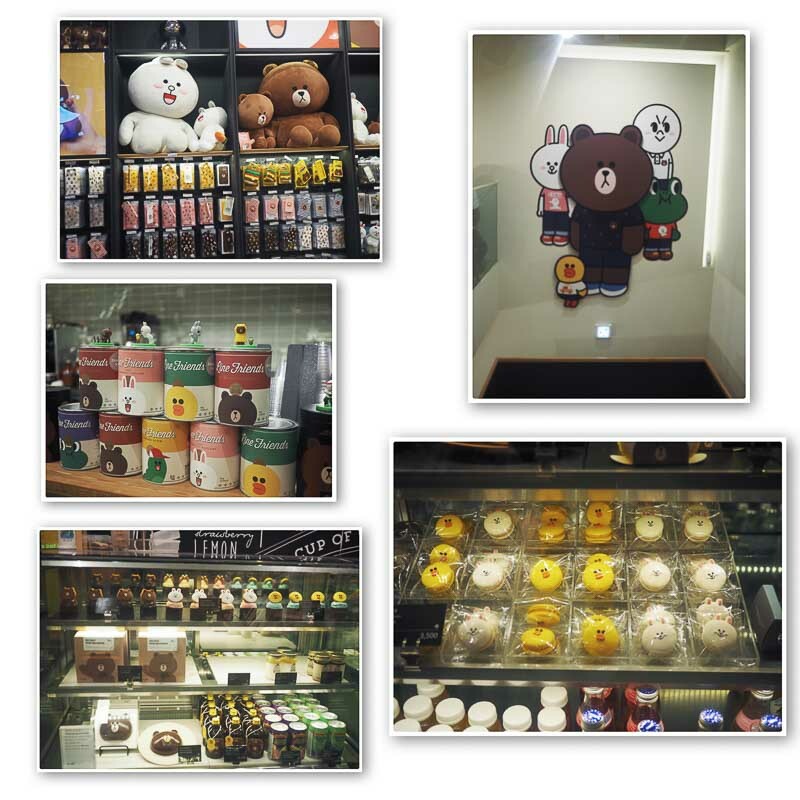 This post will be a great guide for you if you can only spend 1 Day in Seoul. 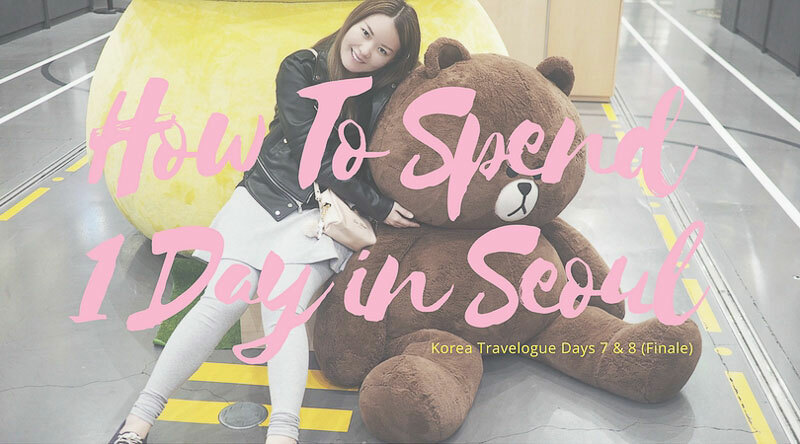 Join us in our virtual tour by watching my Vlog to find out what we exactly did during our 1 Day in Seoul! We got up pretty early in the morning to make our way to the Noryanjin Fisheries Wholesale Market. 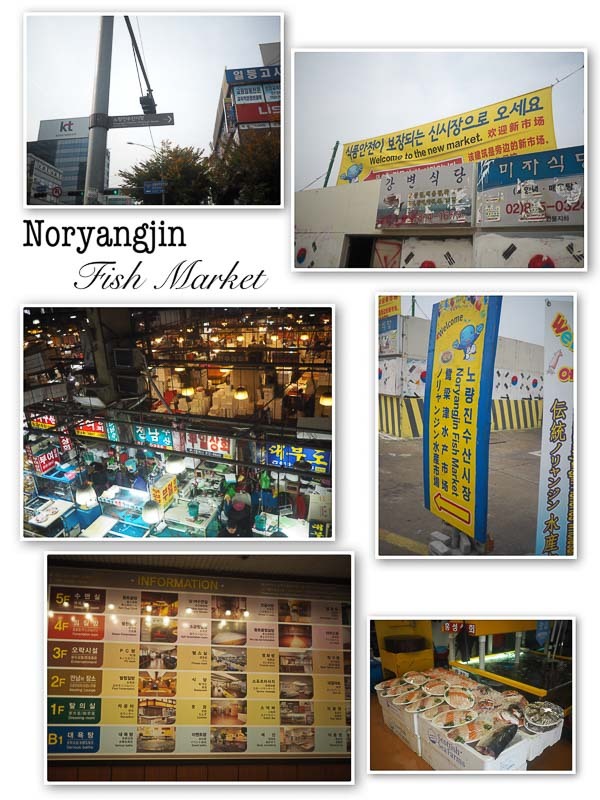 The Noryanjin Fisheries Wholesale Market is one of the largest seafood market in Korea. At this fish market, you get to choose the freshest ingredients & bring them up to the restaurants located on the second floor to cook them for you. I find it pretty convenient as I was spared the agony of cooking. 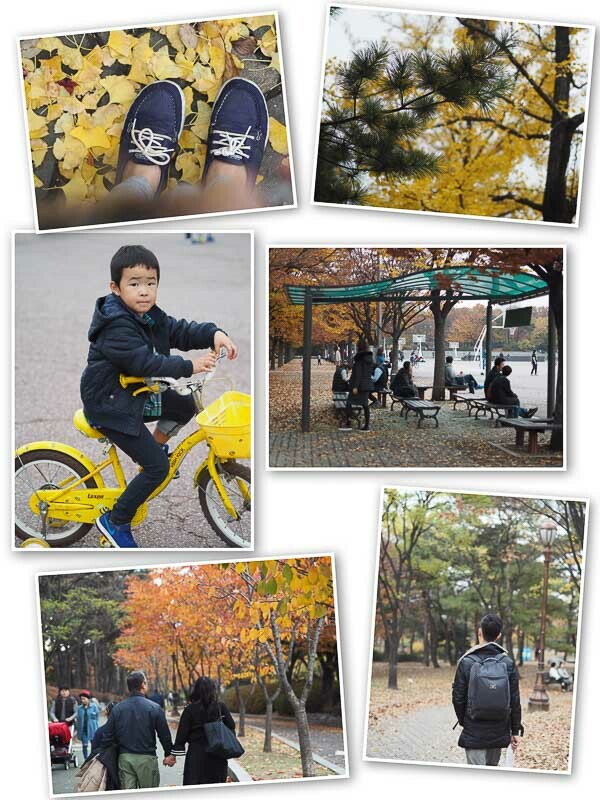 We decided to come close to Mother Nature for our 1 Day in Seoul experience. 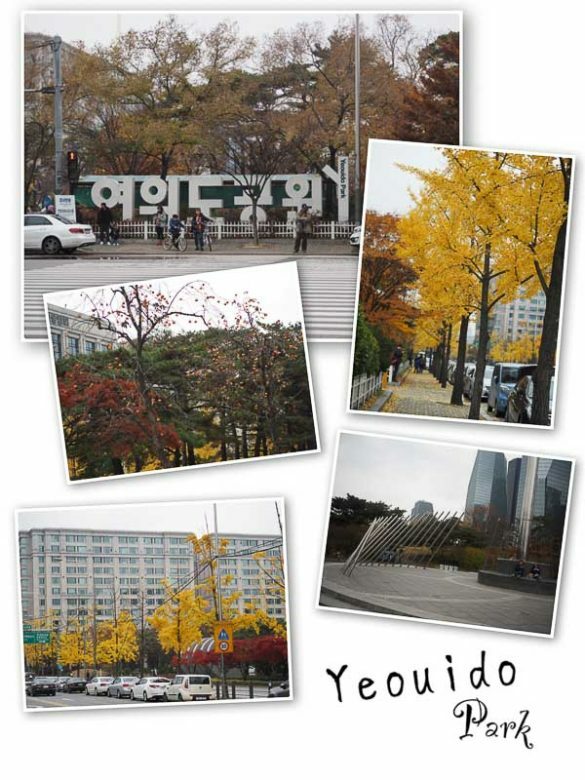 Hence we departed to Yeouido Park, a huge recreational park located on Yeouido Island in the central of Seoul. In addition, I feel that the park is a scenic spot to chill out as well. I think if you have enough time, you may end up spending half day here cycling around the park. Shopping underground at the Express Bus Terminal is ideal when the weather’s so cold outside. You get to see so many cheap clothing, accessories and household items in the huge underground shopping area. We realised that we had not tried Korean BBQ during our visit and hence we popped into a random restaurant in Gangnam for dinner. The meal was simply just so satisfying because the beer and BBQ meat warmed me up nicely. 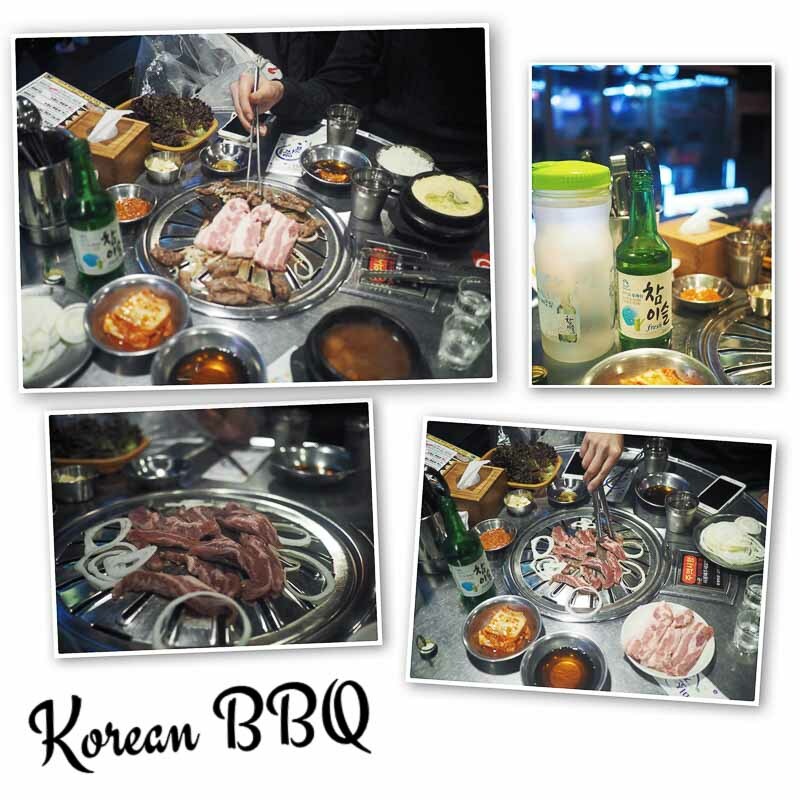 That said, I would prefer Korean Charcoal BBQ at Seorae Singapore instead as the taste suits me better. If you love living life in slow-mo, you will definitely enjoy café hopping when you are in Korea. There are many quaint looking cafés for you to relax when you’re tired of walking. We tend to visit cafés when the weather is too cold for us to stay outdoors for long. 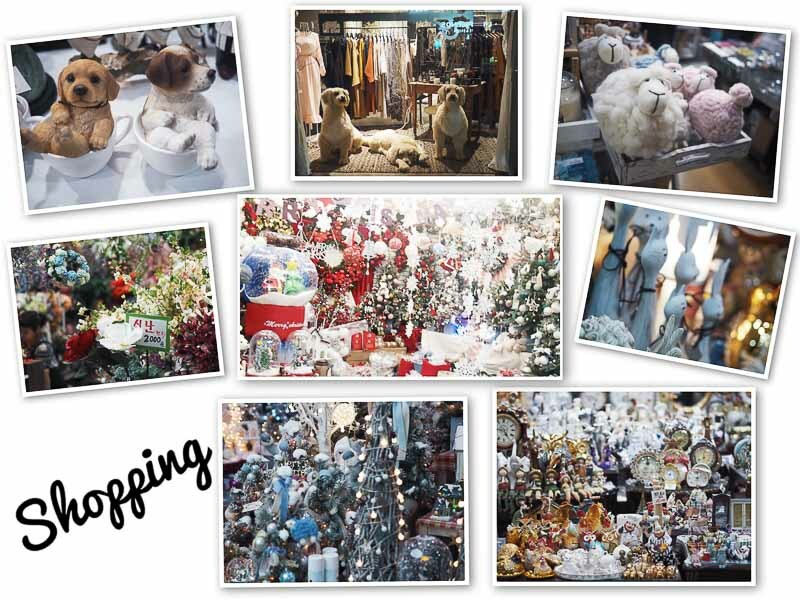 Shopping + Café Hopping is indeed a great way to spend your 1 Day in Seoul. 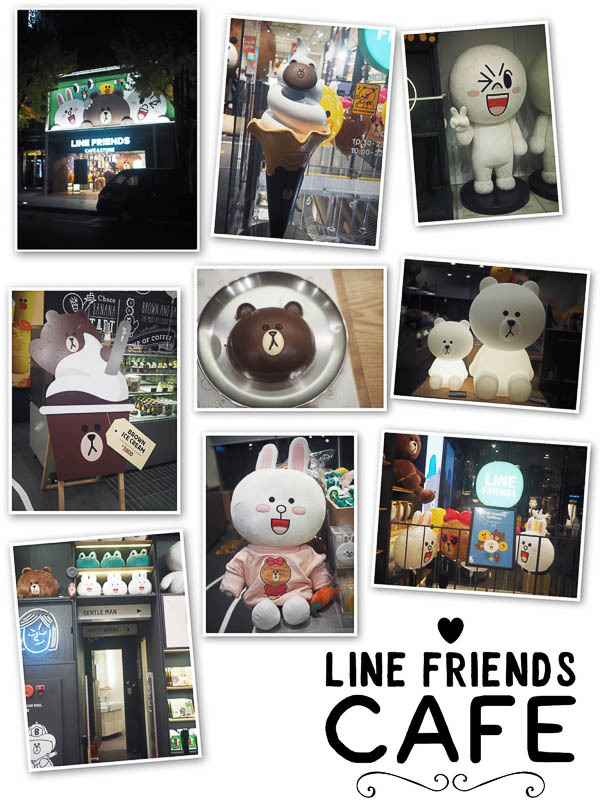 We were obsessed with LINE Characters and hence the LINE Friends Store & Café was on the top of the list when it comes to Café Hopping. 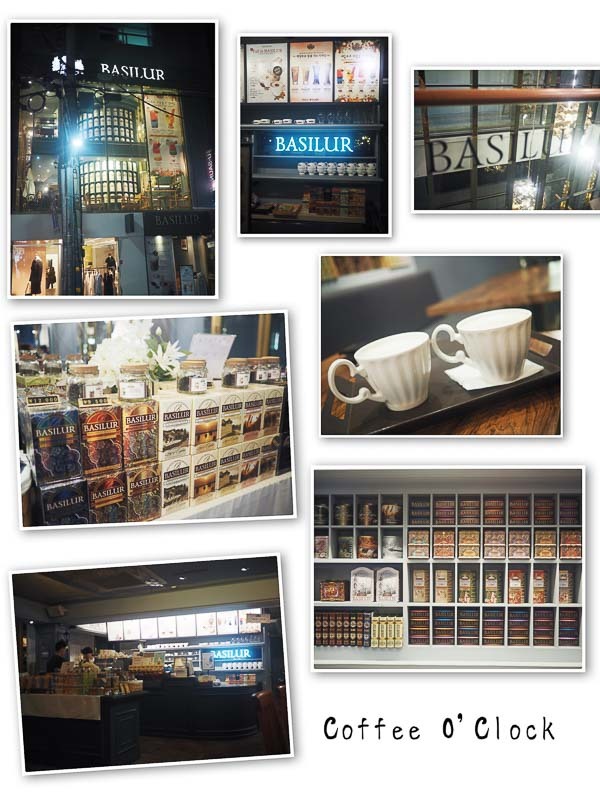 Next Café we visited was the Basilur Tea & Coffee which is housed in a grand 3 storey-building. The ambience in the café was real great but I would still prefer sipping my good ol’ TWG Tea in Singapore. How can your Korea experience be complete without visiting a traditional sauna? The Siloam Fire Pot Sauna is a great place to start as it has various sauna rooms, sleeping pods, spa services, baths, entertainment rooms & a canteen. You can literally spend your entire night there and it is really worthwhile since you can enjoy their facilities to the fullest. Visiting the sauna was an impromptu decision as we realised that we still had time to spare after our café hopping. A great tip when visiting the sauna is to bring your own skincare products & contact lens solution (if you wear contacts). We couldn’t spend our night at the sauna as I did not have my contact lens solution with me at that time. In addition to the above, do be informed that you need to be completely naked when entering the female bath / shower area. I struggled for a good 20 minutes but gave in as I still need to clean myself properly before leaving the sauna.  It felt so awkward! We spent our morning doing some last minute shopping at the Lotte Young Plaza @ Myeongdong before departing for the airport. 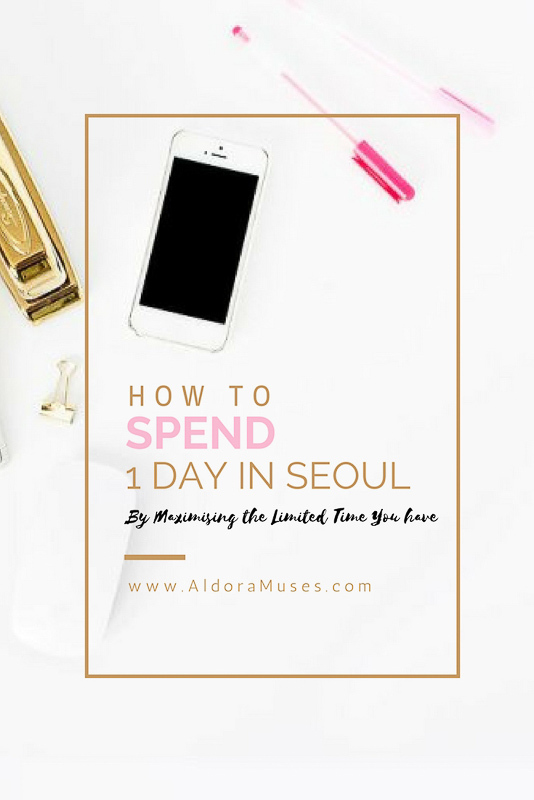 This was how we spent 1 Day in Seoul maximising our limited time. Do you prefer doing everything during a short period of time or do you like to take things slowly when you are travelling? Dangggg. I want to eat every single item in your post! Line Cafe is seriously so cute! 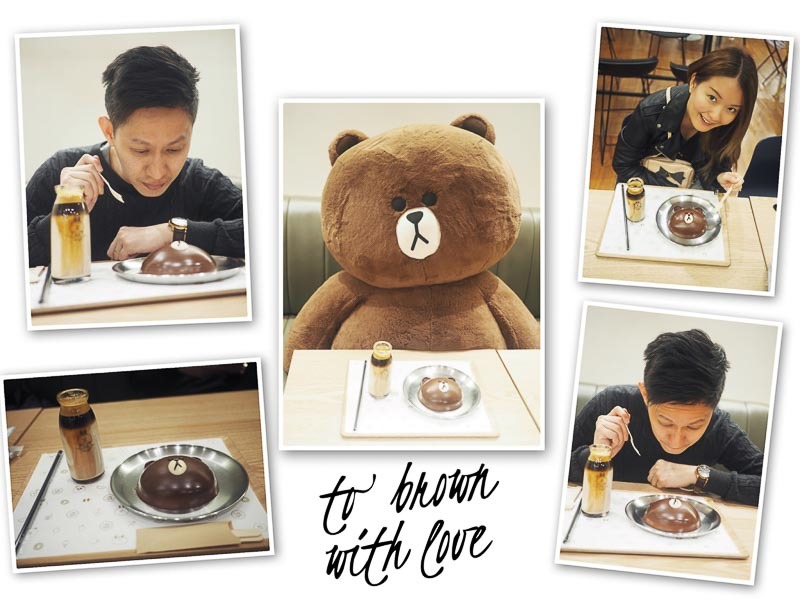 I love that Asian countries tend to make more character-theme cafes. Makes things so much better! Now I seriously want to visit Korea! Wow !! I truly enjoyed this adventure you shared with us ! Seoul looks like a fascinating place, from the fish market to the amazing shopping ! So adorable and fun !! omg! I’ve always wanted to visit Korea! I’ve been trying to learn korean actually haha. This looks like such a amazing guide if I ever get the chance to visit seoul. Knowing me I’m such a shopaholic I would probably hit up all the fashion and makeup stores. I heard hongdae (?) has sooo much makeup goodies !! Oh that sauna sounds amazing! I actually love being in steam rooms and saunas and you guys look too cute with your pics! I would totally go to the wholesale market if my partner didn’t hate seafood (I mean who hates seafood right?!) – but the food looks amazing! Such a fun day! I love your collages – it’s so much easier to scroll thru your site this way. I love that you can choose the fish you eat at the market and those Line characters are the cutest! My kids would love it! Wow. I definitely have to visit Seoul one day! I love that you shared with us the beautiful places from the parks to the shopping places and the fish market. All so beautiful! Well done! Looks like such an amazing trip! Hope I get to visit someday. What a great guide if you only have 1 day to spend in Korea. If I visit Asia and do a tour around the countries in the continent, I’d definitely use your guide. I love visiting food places like fish market, Korean BBQ and tea and coffee! And of course the sauna sounds amazing too. This blog post has given me a major case of wanderlust! Adding it to my bucket list! I am loving your Travel vids on youtube Aldora! The Korea trip looks amazing there’s a few good places here that I would want to visit especially the Basilur Tea & Coffee as I love tea and I like the idea of a three levels of different teas and coffee’s! I’ve loved all of these! That seafood market looks phenomenal! I really would love to visit the Basilur Tea & Coffee and I know that sauna was AMAZING! Wow what an amazing place. I really want to visit. All the food looks amazing! Loved reading about your entire adventure! I’ve never been to Korea but I definitely would love to go after reading about all the amazing places you went to! Wow I can’t believe that you crammed all of this into a single day! Seoul seems so fun. I would definitely want to visit all of the cute little cafes! 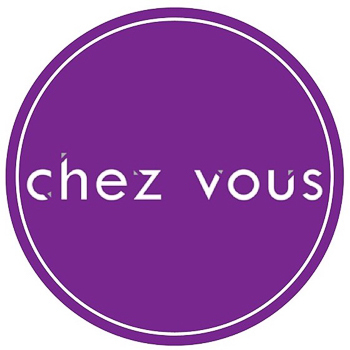 I love your detailed travel recaps and guides. I’m always assured to see good food here! You have done so much in such a short time in Korea! You guys must have planned this perfectly and must have had like a road map for the day no?! These are great souvenirs to keep and I like that you document them here! I love reading your weekly posts. Yet, another amazing travel post. It really sounds like so much fun! Can’t wait until the next! I love Korean bbq. Im so jealous you get to enjoy authentic food! Must be an amazing experience. I love your Korea travels. I don’t even know where to start while talking about Korean SPAs! I’m so obsessed! I have 2 favorite places here in NYC where I’m trying on visiting every month! I bet original Korean SPAs even more relaxing and enjoyable!! Wow I love these pictures! Thank you so much for sharing this experience with us ! I loved reading about your adventure and I would love to visit Korea! Your Travel posts are the best! So much amazing food and fun stuff to do in Korea! 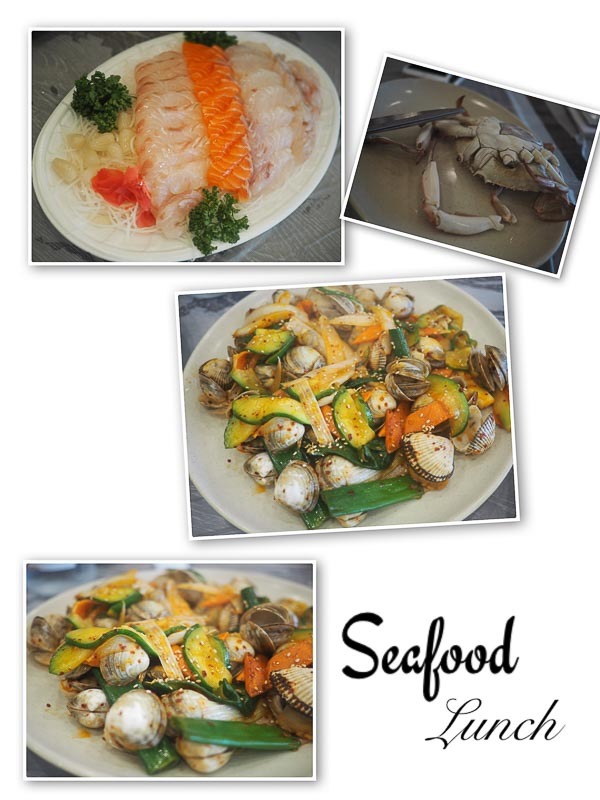 I love seafood, the seafood lunch would definitely be my first stop. Then I’d definitely have to go get Korean BBQ, yum! I live in Korea for more than one year. It reminds me a lot. I know the struggle to go at a spa and be naked in front of strangers haha’ ! I’m realiazing I didn’t do enough there. Dang, reading your post makes me want to travel. Love the food pics. All of them looks delicious. I have heard a lot about korean bbq. Never got a chance to try it. Also its so commendable you even gave the price for each activity. I like the sauna idea too.